I AM one of those who did not cheer when the military coup happened in Zimbabwe a year ago. I was travelling from the Democratic Republic of Congo as the tanks rolled into the city centre in Harare to ensure former president Robert Mugabe was finally forced out. I was a few hundred metres from parliament in Harare that evening during the standoff between Mugabe and the generals who had roped in the legislature. I was nervous. I had my reasons. I had watched many similar coups elsewhere and feared about, firstly, bloodshed and, secondly, military rule. I also feared that like many coups elsewhere, this was an elite enterprise, not a people’s revolution — sanitised only by the crowds that the military had allowed to come out to “show” Mugabe that indeed the “people” wanted him gone. I even tweeted that the euphoria was understandable after being suffocated for decades, but that the gasp for air could be temporary. True enough, the people, myself included, had long wanted him gone. He had tortured, brutalised and killed, as well as impoverished the country for almost four decades. He had presided over massacres of thousands, rendered thousands more homeless and become a self-styled demi-god and self-appointed deliverer of our freedom and the right to enjoy it. He had controlled the space for Zimbabweans to live free, dignified and meaningful lives. So, amongst other millions of Zimbabweans, I too wanted him gone. But what did I want in his place? I know what I did not want. I did not want his cronies with whom he had mismanaged the country, rendered it a basket case and subjugated the people. If he was going, I wanted something radically different, fresh and new. I did not want the soldiers who removed him to take over from him. I wanted them to retreat to the barracks and continue protecting the country as they had done very well for years. I did not want them in politics. I wanted many of Mugabe’s close comrades to go with him to allow for a fresh start. That Mugabe left at the barrel of the gun was something of his own making. 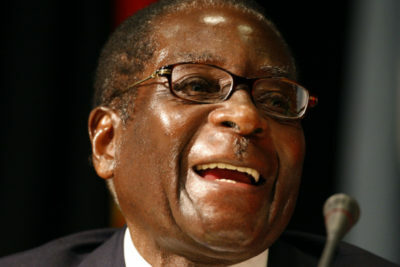 He constantly taunted Zimbabweans and the opposition that the country was “won” through blood and only through the shedding of blood it would be lost — a euphemism that his party and the army that was beholden to it would never allow anyone else to govern Zimbabwe. He had set the stage for his ignominious exit with the barrel of tanks starring down on him. In that regard, no one, myself included, except those close to him, felt sorry for him. My pity focussed on our tattered constitution ripped to shreds on that November day. When the generals rolled tanks into the city, surrounded his house and asked Mugabe to step down, he refused to go. He threw the constitution at them. He challenged their right and authority to remove him. He told them he was elected and they were not. He would leave at the next election if that is what the people wanted. He stressed that their actions were unconstitutional. Only he could deploy them and he had not done so in this instance. Their actions were also treasonous. This presented a conundrum for the coup-plotters. Should they just forcibly remove the stubborn geezer and be damned? There were too many risks with this approach. First, it would really make this the coup it was not supposed to be. The national, continental and global outrage would be swift and brutal. Gone are the days when coups are tolerated. And Mugabe’s friends in the Southern African Development Community and African Union (AU) would not support it. There would also be political and personal consequences for all the perpetrators. Zimbabwe would be suspended from the AU; the coup-plotters would be rendered pariahs. The AU Charter on Democracy prohibits anyone who unconstitutionally removes another from standing for elections to replace them. The generals would have rendered themselves ineligible to govern after Mugabe. Mugabe knew this. So he stuck to his guns (pun intended). But the one card Mugabe could not counter was the people. Having argued that he was elected by the people, the generals took the hint and swiftly went to work. They mobilised the people. And the people came in their thousands — millions perhaps. Mugabe countered that he would leave in December and the generals showed him the crowds on the streets and said, “the people want you to leave now”. And they said the people are above everything and everyone. As Mugabe’s successor, President Emmerson Mnangagwa — who had been hounded out of the country two weeks before the coup — would later say: “The voice of the people is the voice of God”. Never mind the dangerous underlying political thinking and message behind that. Simultaneously, they set in motion processes inside Zanu PF and in parliament to bring pressure to bear on him. Under pressure, Mugabe buckled. The generals took over power and the people went back home and woke up to a new reality. How else could things have turned out? The only power above the constitution is the people. In an unprecedented way, the military intervention violated the constitution and ironically the people endorsed that. At that point it was up to the people to stake their claim in deciding the future direction of the country. Instead, they walked away and left that to the military and political who had removed Mugabe to share the spoils. The opportunity was lost. This is not to necessarily blame the people, but to point out a major slipup. They too would have been nervous and afraid of the army as subsequent surveys showed. But it is important to state that on that day they had power they may not have realised they had it. Power over Mugabe they had helped remove and power over the army, which lacked legitimacy to complete the takeover of government. There people were a critical factor. They could and should have made demands of their own. After Mugabe, what is it that they wanted? The rapture of the constitution created an opportunity for the people to reconfigure the governance arrangements of the country post-Mugabe. They could have remained on the streets as a key player pushing for the reforms they desired no matter what the risk was. They could have demanded an inclusive transitional governance arrangement to lead the country through the interregnum and democratic restoration. Had that happened, the country’s trajectory could have been very different. So a major opportunity was lost. Malunga is a Zimbabwean human rights lawyer who serves as Open Society Initiative for Southern Africa executive director. He writes in his personal capacity. The post Lost opportunity: How Zim missed a chance for change appeared first on The Zimbabwe Independent.